Pfc. 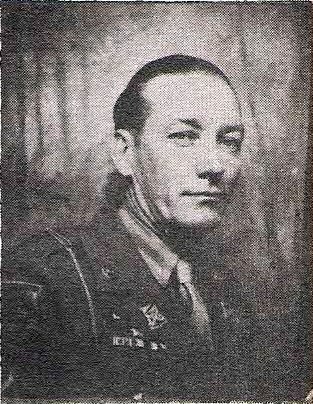 Robert C. Bishop, husband of Thelma Hughes, Graham. Entered Army, 1944, trained at Camp Robinson, Ark. Served in France, Belgium, Germany and Czech. Awarded GCM, Purple Hearat, Victory, Pres. Cit., French Unit Cit. and ETO with 3 Battle Stars. Wounded in Germany, 1944. Discharged in 1946.